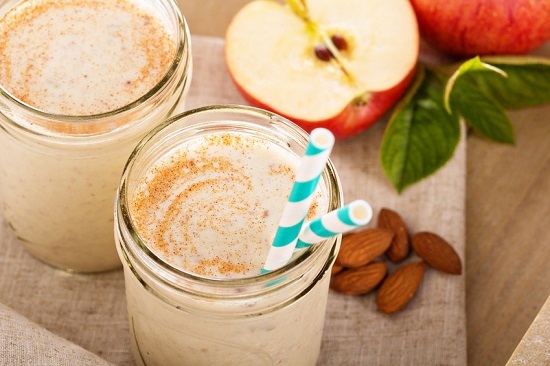 Healthy Apple Cinnamon Smoothie Recipe. You can’t go wrong with the classic combo of apples & cinnamon! Great taste & an easy, low calorie to go breakfast. DIRECTIONS: Put all ingredients in the blender and mix well. If the shake is not cold enough then you can add some ice to the blender. If the shake is too thick then add some ice water to the blender. You can slice and freeze the apples to make the smoothie colder. You can also make ice cubes with the coconut or almond milk to add. Optional, sprinkle with ground cinnamon as garnish. HEALTHY HINTS & TIPS: Fiber, protein, and healthy fat all help the natural sugar in fruit go into your bloodstream more slowly so it doesn’t spike your blood sugar, produce excess insulin, then get stored as fat. My picks: Garden of Life RAW Protein Beyond Organic Protein Formula and Garden of Life RAW Beyond Organic Fiber. 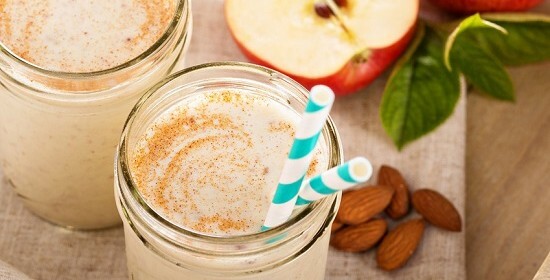 Metatags: Healthy Apple Cinnamon Smoothie Recipe. You can’t go wrong with the classic combo of apples & cinnamon! Great taste & an easy, low calorie to go breakfast. YUMMY!! Apple are now in the freezer. This is on the menu for my morning beverage!! !